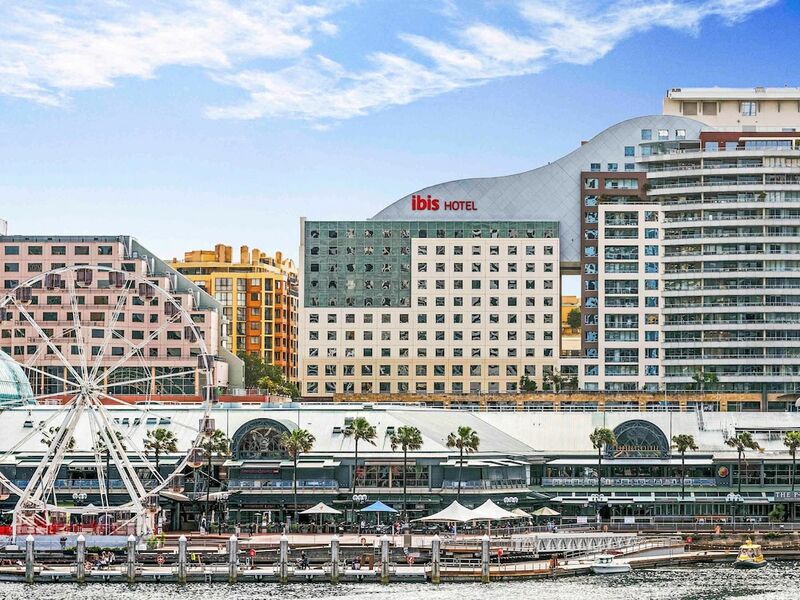 With a stay at ibis Sydney Darling Harbour, you'll be centrally located in Sydney, just a 3-minute walk from Australian National Maritime Museum and 7 minutes by foot from International Convention Centre Sydney. This hotel is 0.6 mi (1 km) from SEA LIFE Sydney Aquarium and 0.3 mi (0.4 km) from Sydney Lyric Theatre. Make yourself at home in one of the 256 air-conditioned guestrooms. Wireless Internet access (surcharge) is available to keep you connected. Bathrooms have showers and hair dryers. Conveniences include phones, as well as safes and desks. Enjoy a satisfying meal at ibistro serving guests of ibis Sydney Darling Harbour. Wrap up your day with a drink at the bar/lounge. Buffet breakfasts are served on weekdays from 6:30 AM to 10 AM and on weekends from 6:30 AM to 10:30 AM for a fee. Featured amenities include complimentary wired Internet access, express check-in, and dry cleaning/laundry services. Planning an event in Sydney? This hotel has facilities measuring 473 square feet (44 square meters), including a meeting room. Self parking (subject to charges) is available onsite.